The perfect live aboard. We have sailed “Vanishing Point” from Ft. Lauderdale to Trinidad, to the US Virgin Islands to Venezuela, and the A,B,Cs, Puerto Rica, and now she resides at the St. Thomas Yacht Club. We are retiring and so is she. 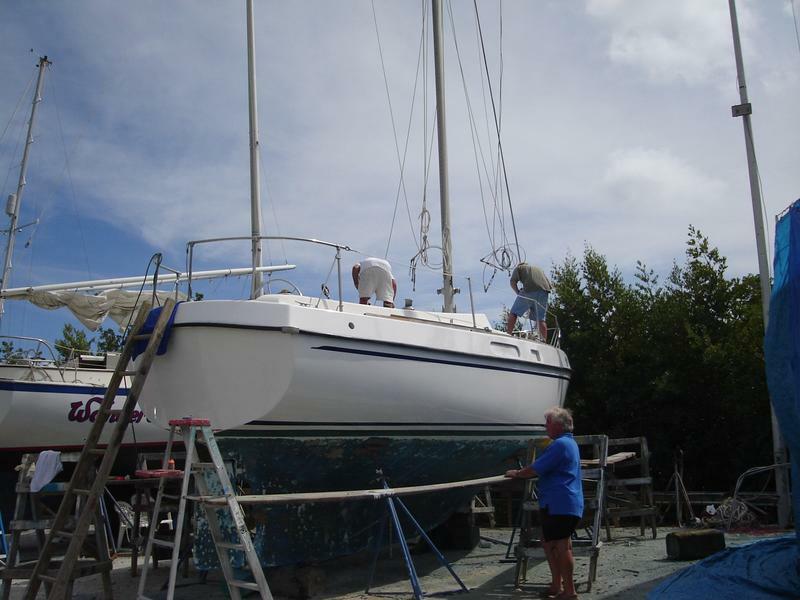 Perkins 4108 diesel engine, Roller furling foresale, Large mainsail,fully battened, 35 lb. stainless steel CQR with anchor roller, spare 35 lb Danforth, 4 hp. Yahama outboard, almost new, Echo Sounder, BBQ, 2 burner propane stove in galley, ice box, pressure water.